this is an adaptation from the recipe on the back of the hershey kiss holiday bags. i grew up with these cookies and crave them each year. perhaps nostalgia or possibly the cookie itself. the twist to this recipe is that i add espresso powder because it mellows out the sweetness. a bit of kosher salt helps as well. with this recipe, anyone who loves these cookies will love them even more. this year i used almonds for the choice of nut. i do love pecans and walnuts. this is entirely up to your liking. please, add the espresso, it truly makes this cookie unique with a wonderful earthy flavor! sift together the flour, espresso powder, salt and set aside. in a bowl of a mixer, add the butter, sugar, and vanilla. beat until fluffy with a paddle attachment. gradually add the flour mixture and chopped nuts until well blended. press the cookie batter in a large disk and wrap with plastic wrap. refrigerate for 1-2 hours until dough is firm. meanwhile, remove the wrapping from the kisses and set aside. using a tablespoon, scoop a rough tablespoon of dough and shape it around the kiss. be sure that the kiss is entirely covered. roll dough into a ball with hand. place dough balls on an ungreased cookie sheet. bake for 10-12 minutes or until cookies are set but not browned. cool for a couple of minutes on cookie sheet then place them on a cooling rack. 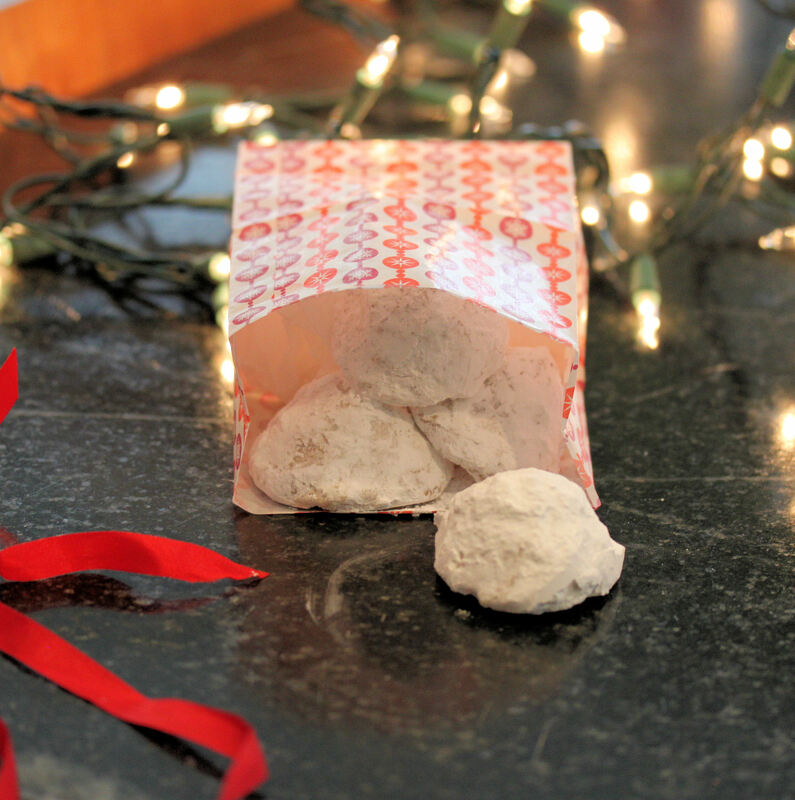 while the cookies are slightly warm, roll them in a bowl of powdered sugar. cool completely. 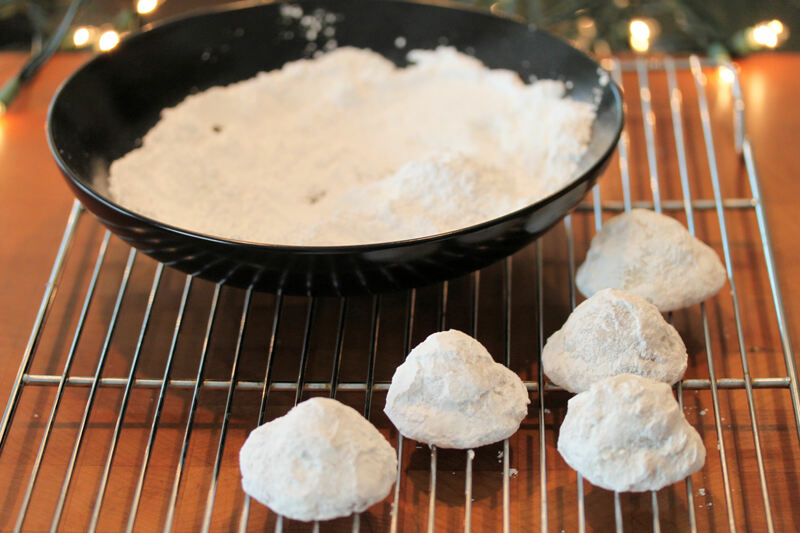 once completely cooled, they can be rolled again in the powdered sugar. or, store them in an airtight container and roll them the second time before serving. either way is fine. 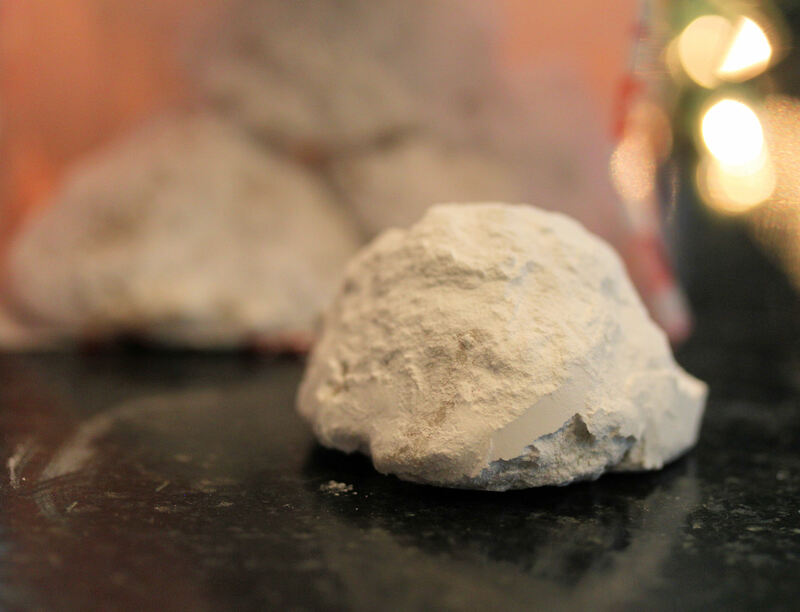 This entry was posted in cookies, desserts/bakery, holiday recipes and tagged christmas cookie recipes, cookie recipes, hershey cookies, hershey kiss cookies, sandies, secret kiss cookies, snowball cookies, snowball recipes. Bookmark the permalink. Looks absolutely delicious! I would so love to try some of them.